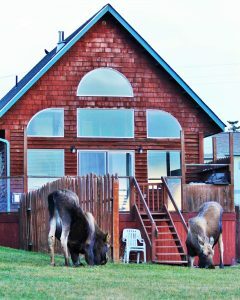 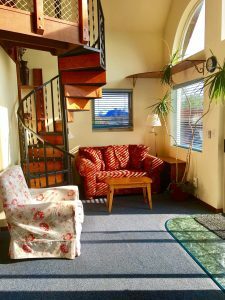 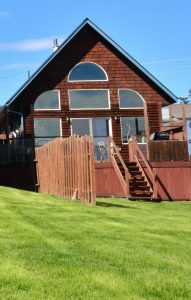 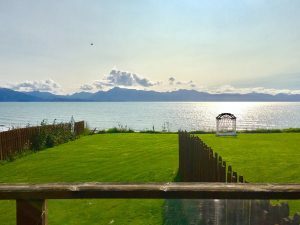 Overlooking beautiful Kachemak Bay and Bishop’s Beach in Homer, Alaska, this 3 room cottage consists of 2 bedrooms and a loft, 1½ bathrooms and can accommodate up to 6 people. 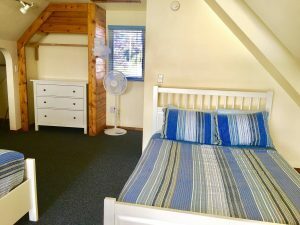 The two rooms on the main level feature a double bed in each room while a queen and a double bed are situated in the loft. 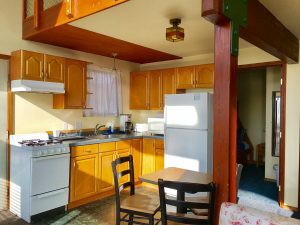 The cottage is furnished with cable TV, an outdoor BBQ grill and a common kitchen stocked with tea and coffee. 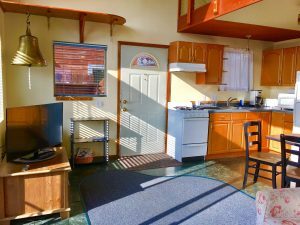 Free wireless Internet is also provided. 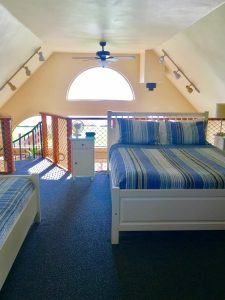 Each additional person exceeding the 2 person occupancy will be charged at $25 per person. 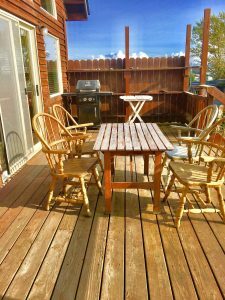 (Under 12 Years old are free) 2 night minimum during the summer; however on occasion there may be a one night space available.